The music video for “DoYaThing”, a collaboration between the Gorillaz, Andre 3000 and James Murphy came out earlier this week. The video is SO cool. The animation is great. It’s amazing how they created all this within in an actual physical environment!!! The song was created for a Converse music campaign to help promote good artists collaborating and of course their shoes. You can see Converse Chuck Taylor’s throughout the whole video. Good product placement. 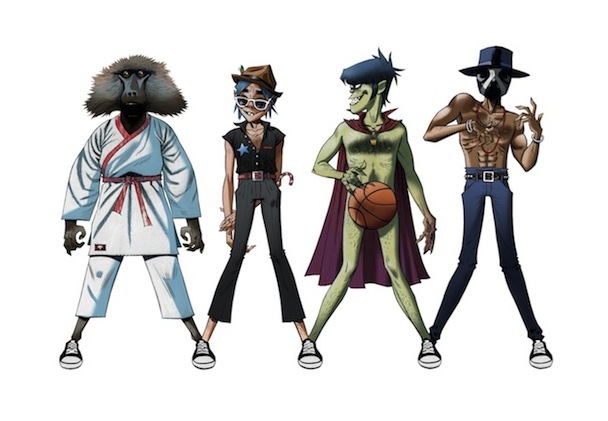 I love the Gorillaz, and definitely love Andre 3000 (my favorite rapper) and James Murphy is good too. Collabos don’t get much better than this!!! What do you think of the song and the video? 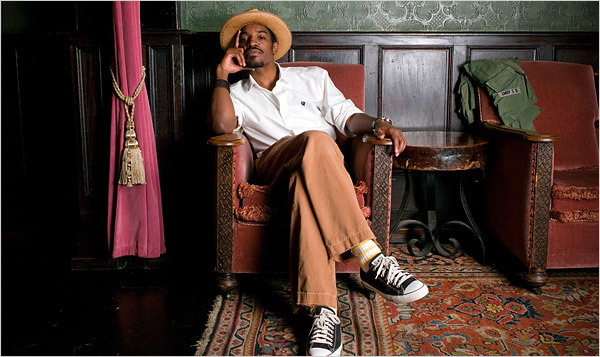 This entry was posted in Music, Song Of The Day, Video and tagged Andre 3000, Chuck Taylor's, Converse, DoYaThing, Gorillaz, James Murphy, Music, Rap, Rock, Song Of The Day, Video. Bookmark the permalink. Gorillaz, Andre 3000 and James Murphy released a new song today “DoYaThing” as part of a Converse campaign called “3 Artists, 1 Song”. Below is the link to the song. Check it out!!! And if you like it, you can download it there for free (legally)!!! It’s really good, but what would you expect from these guys. Very trippy. This entry was posted in Music, New and tagged 1 Song, 3 Artists, Andre 3000, Converse, DoYaThing, Gorillaz, James Murphy, LCD Soundsystem, Music, New, Rap, Rock. Bookmark the permalink.